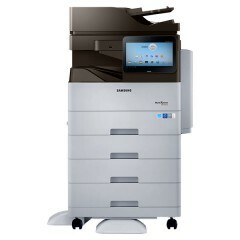 The high speed and exceptional performance of the M3870FW Mono Multifunction printer enable businesses to accelerate document and image processing for increased efficiency. Easy Printer Manager for smooth printer operation, Easy Document Creator to create, compile and share documents and easy secure printing with built-in numeric key pad are available. With Easy Document Creator, employees can create digital documents in multiple formats and share them through email or social networks. • Robust ProXpress 3870 series feature print speeds of up to 40ppm. • Powered by a Cortex™-A5 core processor and up to 256MB of memory. • Laser toner cartridge options (3K, 5K, and 10K yield). 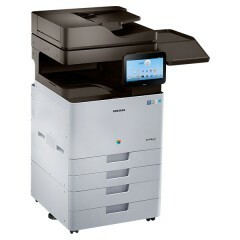 Among the many 4-in-1 multifunctional printers on the market, the Samsung SL-M3870FW happens to be the most affordable. At less than $500, it is a great deal. It helps that it also prints up to 38ppm in A4 and 40ppm in Letter. But the numbers are usually based on best-case scenarios, so I expect delays here and there. So far, I haven’t experienced slow printing, only slow first print out. Don’t believe the output is always at 6.5 seconds from boot. Again, it’s all technical stuff, I just happen to be more meticulous than most. The printer also allows me to print directly from a USB, which is convenient, but could also pose a security concern. In an office setting, this feature is best disabled, unless there’s a designated USB that is used with the printer. But with all sorts of computer virus going on, security measures must be set in place. Wireless printing is also a great feature. For some reason, though, I get disconnected once in a while. I’m using a MAC, but the SL-M3870FW did say it supports MAC OS X 10.5. It could be that I’m a couple of offices away. I’m not sure really. But the IT gets it running again, anyway. When it comes to the output, this is where we get good value for money. Higher quality is really higher quality. Highest would have been great, but with the printer’s price point, higher-quality printout at maximum 820 sheets is more than good enough.